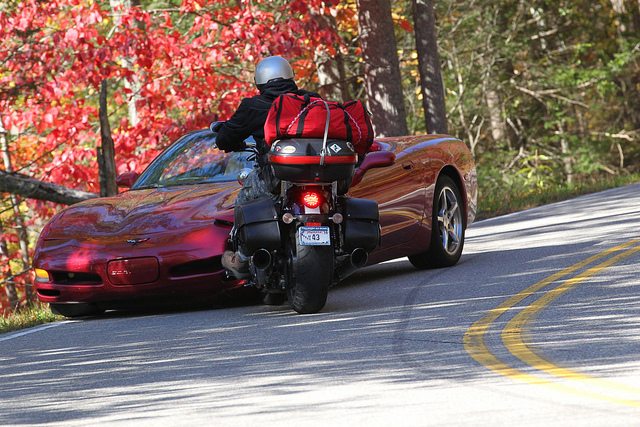 You may have heard of, or even driven on the Blue Ridge Parkway. 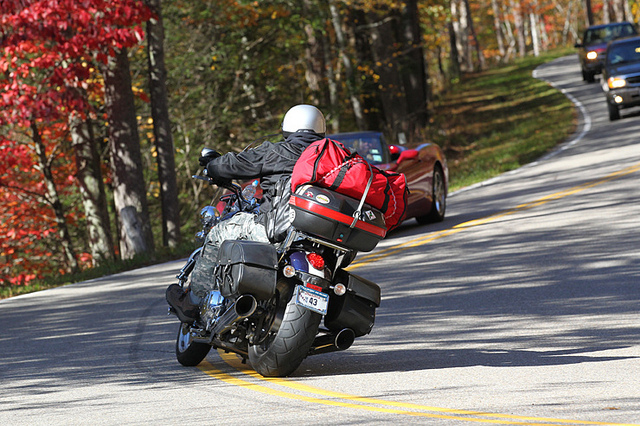 Running along the ridges of the Appalachian Mountains, the road is one of the most scenic and entertaining driving routes in the world, with its most famous part being the Tail of the Dragon: an 11-mile-long twisty stretch of asphalt with a whopping 311 curves. What seems to have transpired was that the biker didn’t plan the turn correctly, or wasn’t paying enough attention to the road, and ended up riding across the double yellow lines into the opposite lane, ramming the C5 right in the front-most part of the driver-side quarter panel. 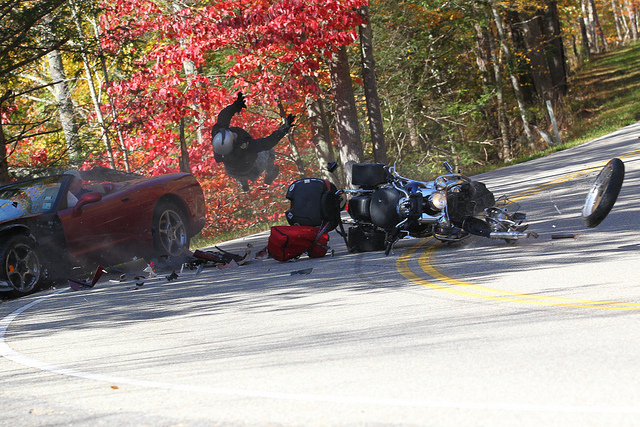 Upon impact, the motorcyclist was ejected from his saddle and thrown into the air, where he did a somersault. 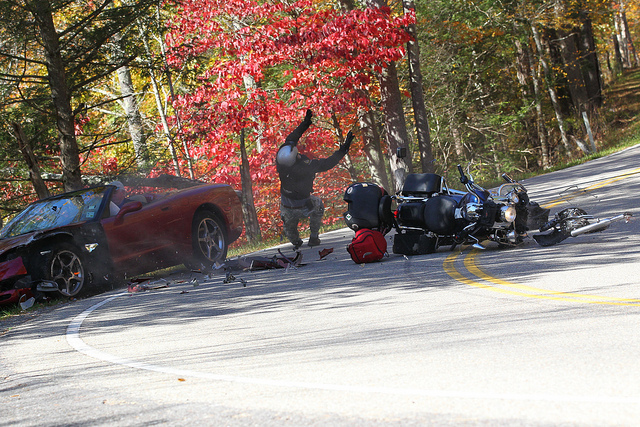 Luckily, the Corvette driver and the biker both came out ok, although the poor lad on the bike may have broken a bone or two in his arm, according to LSXTV. The whole event is wildly scary to us, and our own Manoli Katakis perhaps summed it up best when he wrote “eeesh!”. More than anything, watching this video and viewing the accompanying photos reminds us more than ever to pay attention while driving, keep our eyes on the road, and operate the vehicle in a focused state of mind. Guys, guys guys….this video is clearly doctored. I wouldn’t even consider it a nice try. And these guys that “filmed” it, while making their living “capturing drivers ripping through the Dragon’s twisties” are frauds. I visit highway 129 once a year. I can attest for the accidents that happen up there. its not a thing where people die everyday or exaggerated numbers. The resident photographer Darryl “Killboy” Cannon has taken such pictures before, frame by frame. 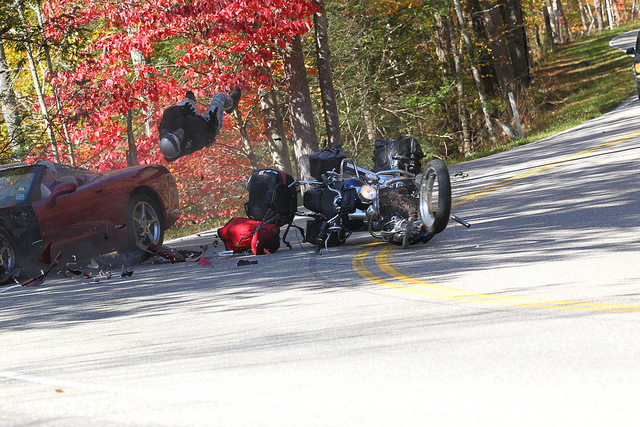 I have had motorcyclist drop their bikes right in front of me before. It happens. 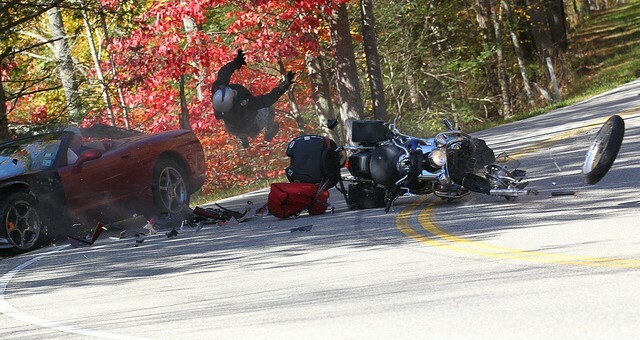 Wow, that is my biggest fear when being on the outside of a turn like that. You just never know if that person on the other side is going to loose it and cross over. I am glad they are both okay. Don’t let this story keep you from having a good time. As long as you drive within your ability and watch defensively, you’ll be fine. There are numerous pull offs if someone is driving faster than you. It’s just like anywhere else, you’ll have bad drivers. Once you go up there, soon you’ll find the place isn’t just about The Tail of the Dragon, but you’ll realize how much history there is up there. It’s a great place to unwind and just get away from it all.